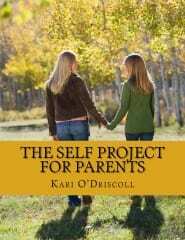 The SELF Project offers workshops for students as well as parent groups. Each section contains discussion prompts, worksheets and activities centered on the theme. Participants are encouraged to contribute at a level that is comfortable for them, and groups are kept small in order to promote honesty and genuine connection. We offer the curriculum in series, as individual presentations, and as intensive workshops during the summer. Not sure what you need? Contact us and we’ll help you decide.